The last “Engulfing” pattern is still unconfirmed. So, the 89 Moving Average is likely going to act as a support. 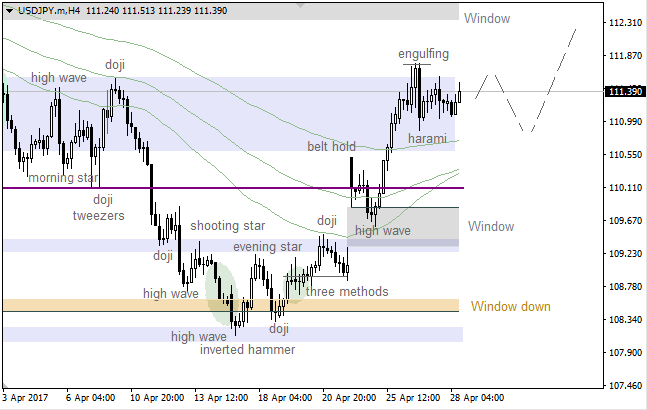 If a pullback from this line happens, bulls will probably try to test the upper “Window”. There’s a strong support by the lower “Window”. 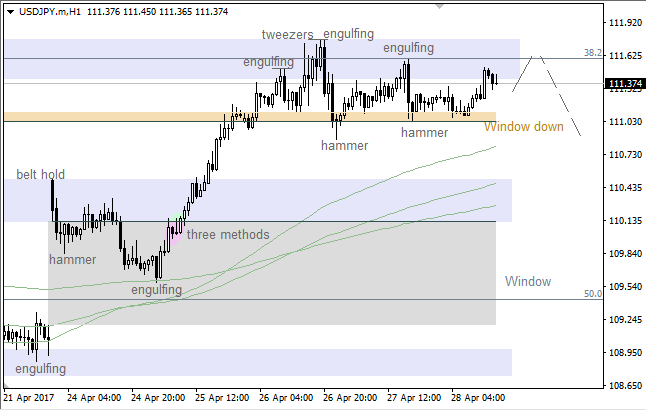 However, we’ve got a “Tweezers” and an “Engulfing” patterns, which both are still on the table. Under this circumstances, bears are likely going to test the “Window” once again.